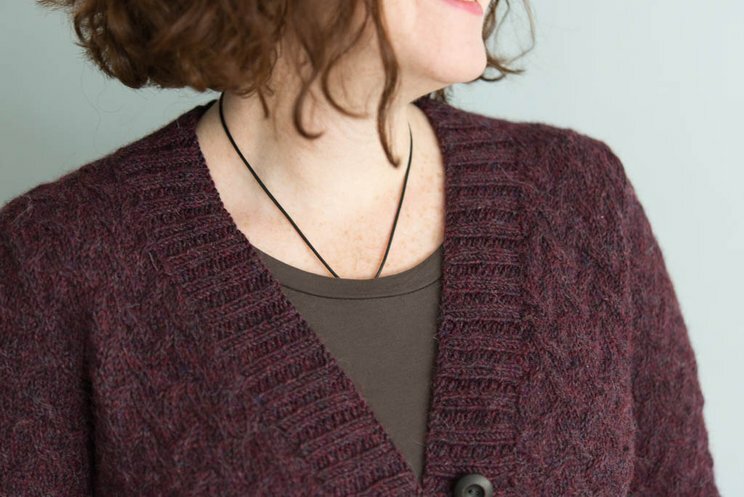 The V-neck cardigan is a classic silhouette, and Copper Mountain's all-over cable stitch pattern elevates the classic to new heights. Worked straight to the armholes with no shaping, Copper Mountain is a great option for men, women, and kids. It looks great in a variety of gauges and textures of yarn. Please be sure to swatch in the shadow cable stitch pattern for accurate gauge. 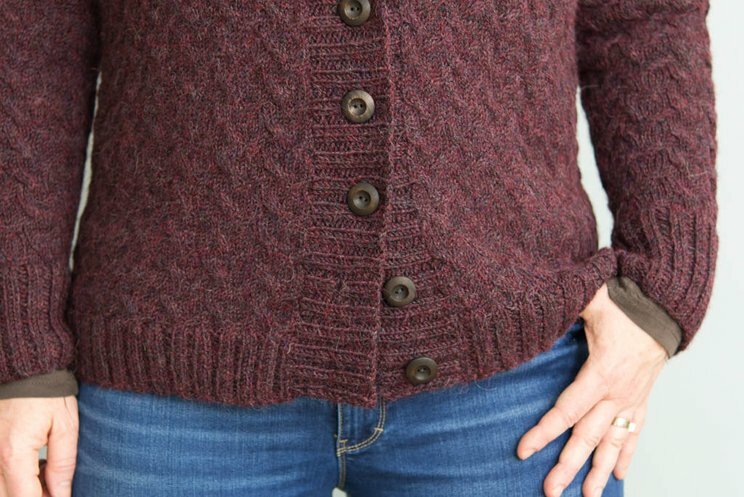 Copper Mountain will use your average sweater and long sleeve lengths, and features a V neckline that begins 1.5'' (4 cm) below your armhole shaping. Simple 2x2 ribbing trims all edges. Amy is wearing the sample sweater with a women's average fit. 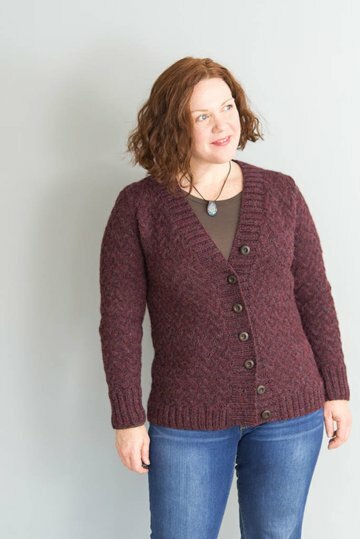 If you choose to make Copper Mountain in Tapered or A-line Silhouettes, please note that you *will be required to work shaping in the cable pattern. 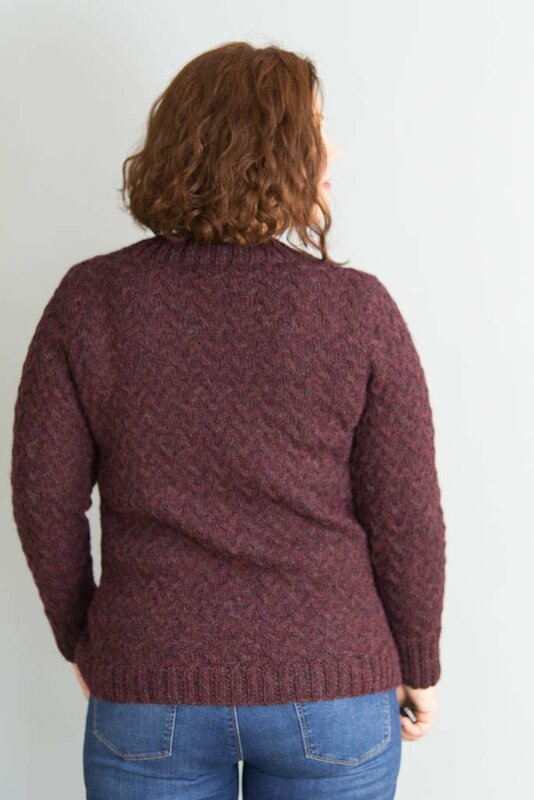 I prefer the look of a slightly-fuzzy, slightly-heathered yarn for this cable pattern, and really appreciate the bit of drape alpaca gives to fabric. So I strongly recommend Berroco Ultra Alpaca, the yarn used in this sample, for your Copper Mountain. 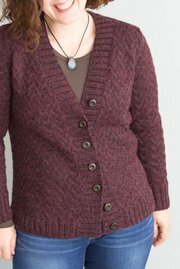 I'm wearing the color "Lobster Mix", #6297, but there are lots of great heathered colors in this yarn so be creative! For stability, I liked the Shadow Cable stitch pattern at a gauge of 24 stitches and 28 rows to 4'' (10 cm) in Ultra Alpaca.